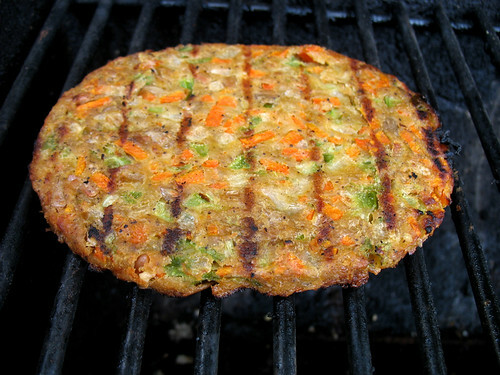 Sometimes the best-tasting veggie burgers are just too mushy and crumbly to cook on a barbecue grill. I love those burgers when I'm cooking them on the stovetop or when they are served to me at a restaurant! But I also love to use my barbecue grill. 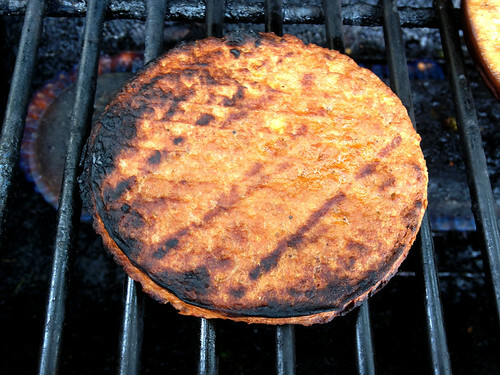 I've learned from trial and error that some veggie patties are just too soft to grill - and will fall to pieces and land in the coals if you aren't careful! These are one of my favorites for grilling - I'm a big fan of black bean burgers, and the spicy southwest flavor is great. 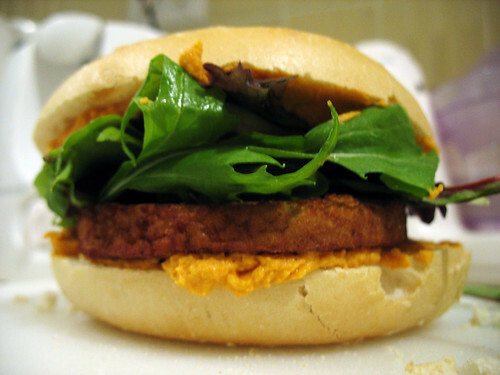 If someone told me veggie burgers were bland and tasteless, I'd definitely offer them one of these to change their mind. 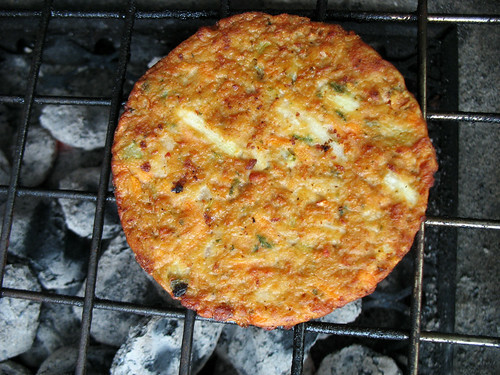 A very healthy-tasting patty with a savory, nutty flavor (the ingredients include walnuts). These have a faux-meat texture, but don't try to imitate the taste of beef (thankfully). Held up well on the grill, just don't overcook them! I don't know why I haven't reviewed more Morningstar patties (add that to my to-do list), but honestly all of their flavors would probably hold up well on the grill - they have a firm, faux-meat texture. These ones had a nice sweet-and-sour flavor, but if you are looking for a more traditional flavor they have a variety to choose from. I haven't been to Costco in awhile (don't have a car, so haven't felt it would be worth it to buy a membership) but a couple years ago a friend of mine had a membership and I bought this huge pack of 14 patties - which were actually quite tasty! 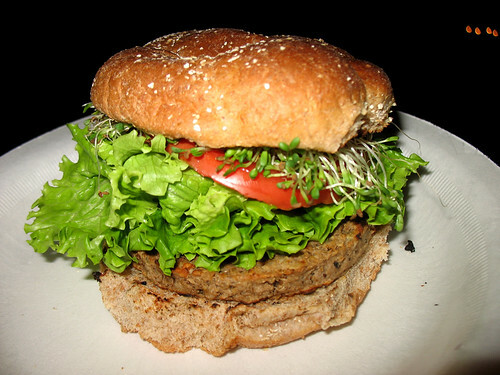 Definitely the most economical veggie burger option out there, they're full of chopped up vegetables, not faux-meat. Just be gentle flipping them on the grill, as they can get a little soft, but they still hold together well enough if you are careful. These come the closest to imitating "real burgers", in terms of look and texture, of all veggie patties that I have tried so far. I found the flavor a little bland, but I know lots of other people enjoy them. 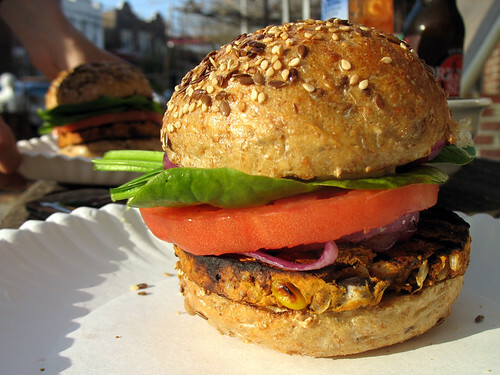 Plus, half the fun of making burgers is piling on the flavorful toppings, right? Will you be barbecuing for Memorial Day Weekend? What are you planning to cook on the grill? Costco actually sells (or sold, haven't checked lately) a large pack of the chipotle variant (and the patties themselves for the Costco version are huge). I love those amy's burgers! 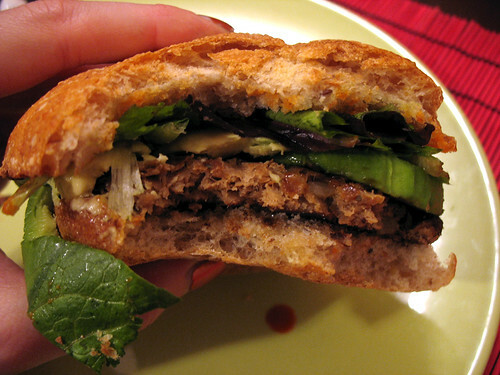 Trader joe's veggie burgers that are refridgerated (not the frozen ones!) are very sturdy and good for grilling. Morning star's just have too many funky ingredients-aside from the not vegan aspect. And checkout "intacart", its new to nyc and you can order stuff delivered from costco! No membership needed, just $35 min order. Sunshine burgers are still my fave: southwest variety. Do they hold up okay on the grill? I love them, but I've only cooked them in a frying pan - I worried they might be too soft/crumbly on the grill, but I have a box of them in my freezer right now, so I may have to do some experimenting soon! Oh it's hard to wait for this! Monday, here we come!